A walk-through replica of a colon will be part of Fauquier Health’s colon education event on September 24. Screenings, education and a (much) larger-than-life inflatable colon will be part of a colon health education event at Fauquier Hospital on Saturday, September 24. From 9 a.m. to 12 noon, community members are invited to come learn about colon health from physicians and staff members. Urologists Brian DeCastro, M.D. 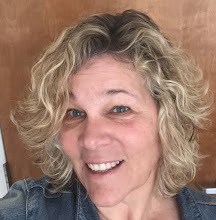 and Kathryn Sullivan, M.D. will conduct digital rectal exams (DRE) and phlebotomists will take blood for prostate screenings (PSA). Both screenings – which will be held in the Outpatient Special Procedures department on the first floor -- are available for males between 50-70 years old (or as young as 45 for those with a family history of prostate cancer and for African-Americans). Space is limited for the DRE, so registration is required for this exam. Call 540-316-3588 to register. 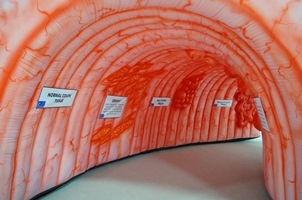 Visitors will be able to walk through an inflatable model of a colon as clinical staff members explain lifestyle strategies for a healthy colon. Look for the bright pink model outside the Bistro on the Hill restaurant entrance at the hospital.